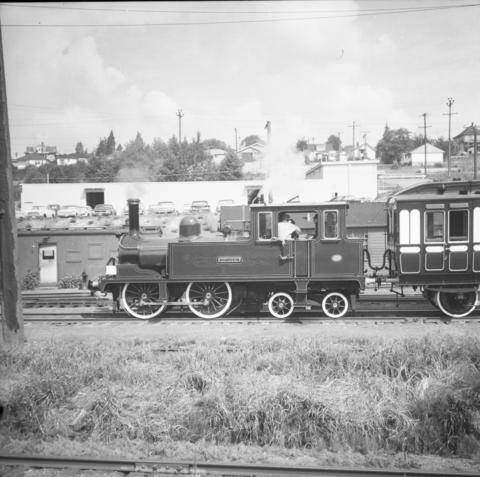 Photograph depicts a British locomotive, the "Dunrobin," and a saloon coach. 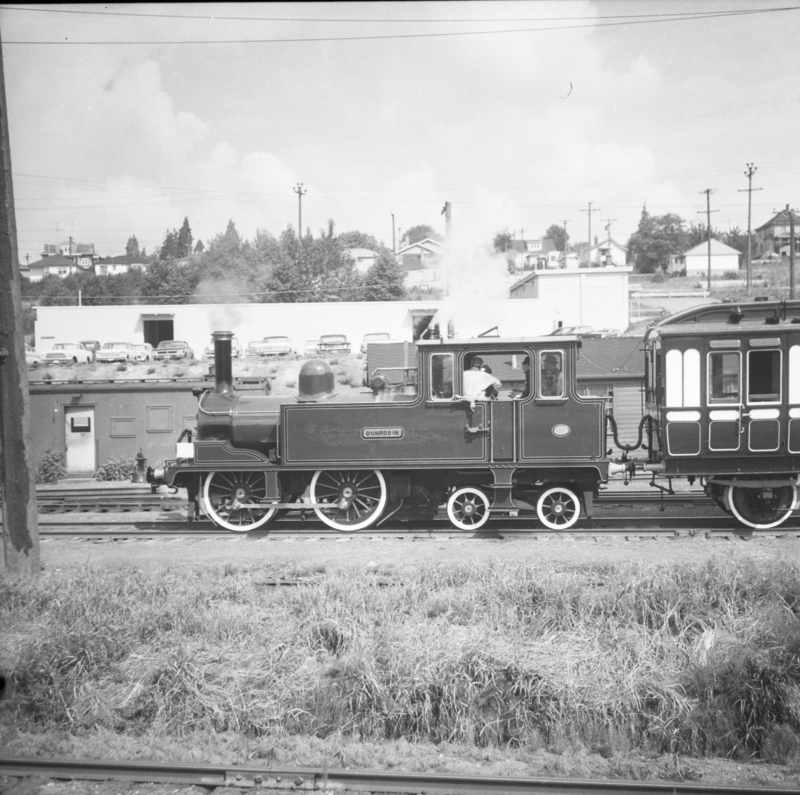 The locomotive was on a test run between New Westminster and Steveston on BCER track beside the Rayonier lumber mill that had since been consumed by a fire. As part of its recent overhaul, automatic couplings were fitted in the front of the locomotive and at the rear of the coach. A bell was also placed under the main frame and lamps as well as a generator were added.